NEWTON FAULKNER has announced his new single, DON’T LEAVE ME WAITING, through Battenburg Records via The Orchard today, 25 January 2019. Listen to it below. Newton has a very exciting year ahead, having previously announced his new album, THE VERY BEST OF NEWTON FAULKNER … SO FAR, which will be released on 8 March, with a major UK headline tour taking place this spring. NEWTON FAULKNER’s 31 track double album, THE VERY BEST OF NEWTON FAULKNER … SO FAR will be released on 8 March and includes fan favourites such as DREAM CATCH ME, WRITE IT ON YOUR SKIN and CLOUDS alongside three brand new songs all showcasing his songwriting brilliance. In addition, his renowned cover versions will be presented on a second disc including newly recorded live versions of the iconic BOHEMIAN RHAPSODY and SEND ME ON MY WAY that fans have been requesting for years. 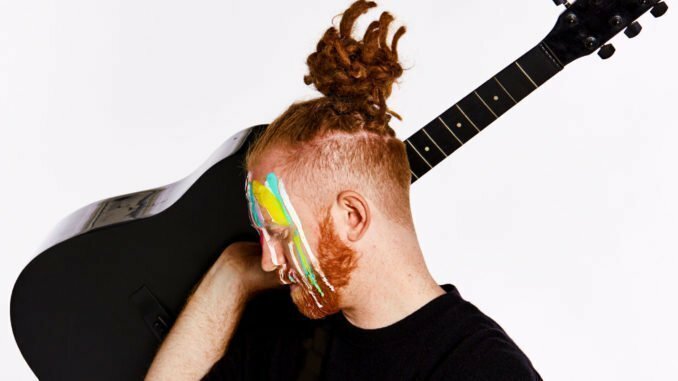 Throughout his immensely successful career, NEWTON FAULKNER has sold over 1.5 million records with over 180 million streams combining to make him one of the UK’s most successful singer-songwriters of this millennium. Last year, he took to the stage performing as The Sung Thoughts of The Journalist in Jeff Wayne’s UK arena tour of THE WAR OF THE WORLDS.